Hydrostop Usage Guide–SealSkinz Hydrostop technology creates a seal between the sock cuff and skin, helping to reduce the amount of water from running down the leg and into the sock. 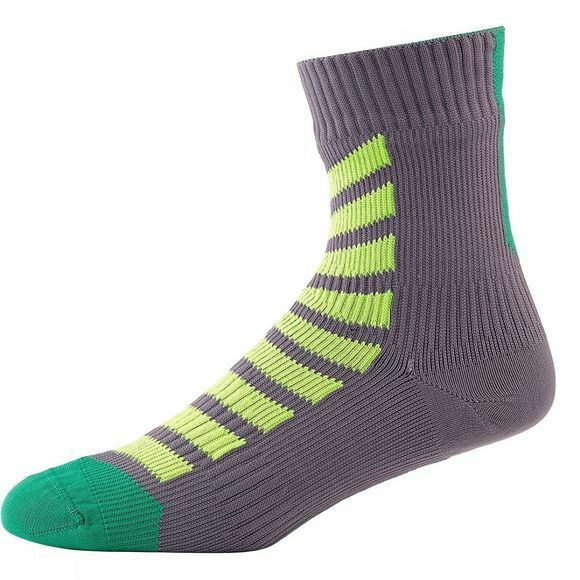 Due to this close bond between sock cuff and skin, we recommend that Hydrostop socks are only used outdoors and not for a prolonged period of time. Incorrect or prolonged use can result in excessive rubbing against the skin and may in a very small minority of cases cause minor skin irritation. The Hydrostop seal material has been fully tested to EN ISO 10993-5: 2009 and is OEKOTEX compliant.